This is a locking control reel that is similar to the control reel but is fitted with a locking mechanism which allows you to stop it at any point. The thread reel is ideal for slow motion animation effects. A classic example of this is the Serpentine Silk effect, where a knot is tied in a large handkerchief, and the knot visibly unties, making for one of the most effective pieces of visual magic ever conceived. 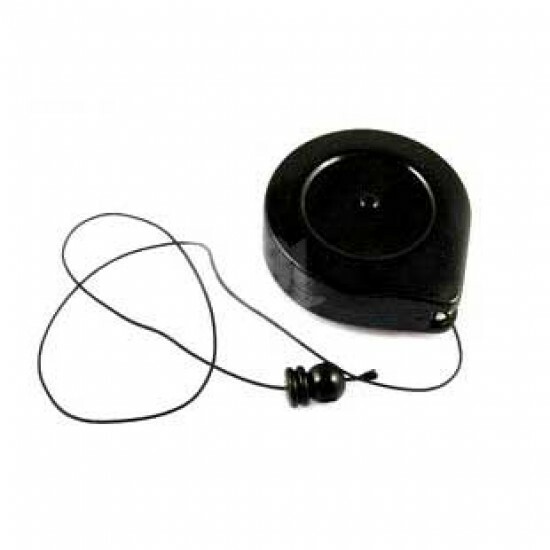 The locking control reel is made of Plastic, black color, and comes to you with instructions for use, along with the presentation for the routine above. The thread is aprox. 1 m in length.